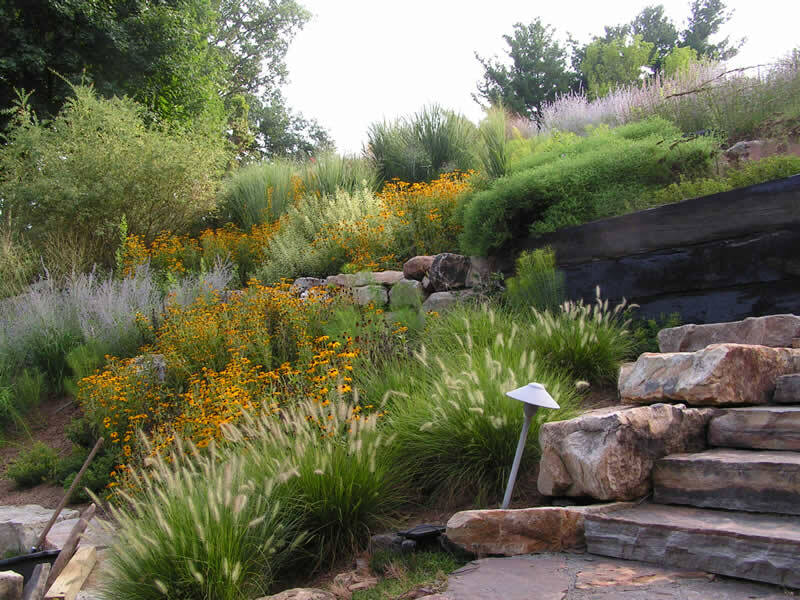 A client in eastern Pennsylvania asked Charlesworth Fleischacker for a solution for a rocky eroding hillside overlooking a five-acre lake. 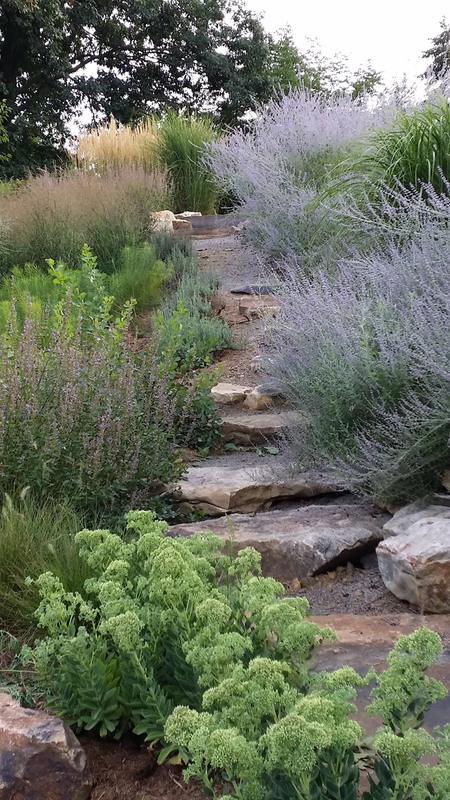 We responded with a scheme of bold sweeps of plantings in tiered shelfs and a stone stairway snuggled in the 30-foot drop. 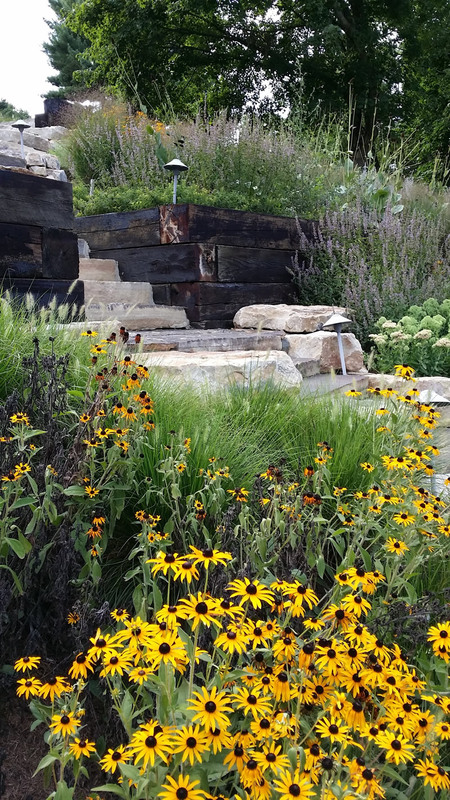 We worked with local builders on site to layout stairs and retaining walls of boulders and oversized recycled timbers. 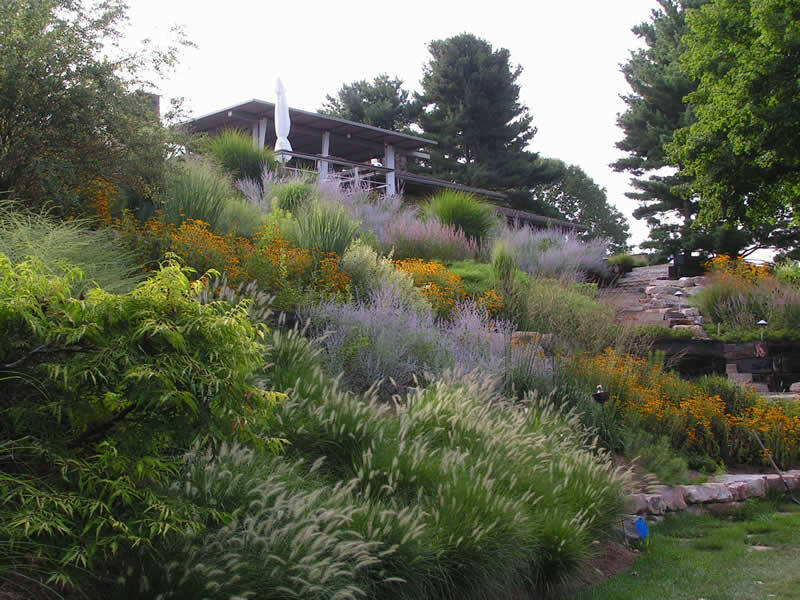 Not only did we stabilize the hillside but we created a lush natural canvas painted with bold textures and colors that changes with the seasons.